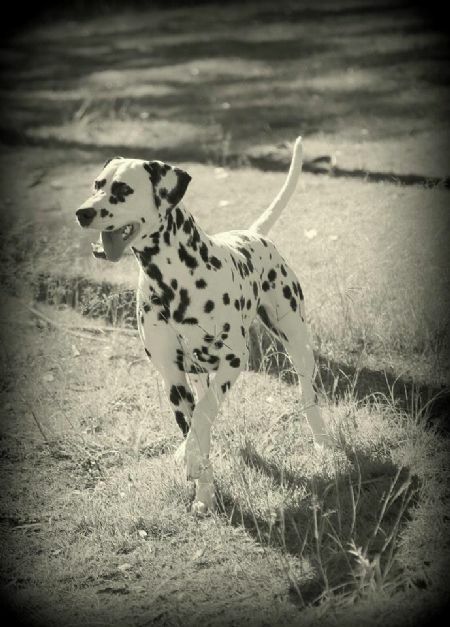 Here at Lotzadotz we strive for beautiful Dalmatians with fantastic temperament. We have been involved with owning, showing and breeding Dalmatians since 1989. Our puppies are born and raised in a family environment. We breed selectively and only occasionally, ensuring healthy, stable, fun-loving Dals will be a part of a new family from 8 weeks of age. Our Dals are fed a natural diet, without dry food and we believe this has led to healthy, mentally and physically balanced, well adjusted adult dogs. If you would love to know more about available puppies and/or a naturally fed diet, please send me an email, via the 'Email Me' tab.